The Lerxst® Omega amplifier was created by Mojotone based on a vintage Marshall amp Lifeson used in the studio while recording the band's latest album, "Clockwork Angels." With select modifications made to the circuitry and an overwhelming attention to aesthetic detail, this 25/50 watt amp is a marvel in the world of modern sound amplification. 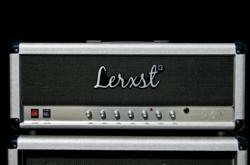 And for a guitarist like Alex, who has one of the most distinctive and recognizable tones in rock music, the Lerxst has to live up to a high level of expectation. "It sounds so good!" stated Lifeson, moments after receiving the very first build of his new signature amp. "We pulled the Marshall last night after A/B-ing the two. The tonal character is quite similar, but the response of the Lerxst® has greater immediacy, sustain and grip." Mojotone--in direct partnership with Alex Lifeson--will produce the all hand-wired Lerxst® Omega amp ($2,995) and matching Celestion G-12M loaded Tall 4x12 speaker cabinet ($1550). The amp and cabinet will be available via the lerxstamps.com website immediately. For more info visit prweb.com. Geddy Lee and Alex Lifeson on VH-1's "Big Morning Buzz"
Today Geddy Lee and Alex Lifeson appeared on VH-1's Big Morning Buzz with Carrie Keagan. Check it out here. The 2012 Ottawa Bluesfest lineup has been announced, and Rush is included with a concert on July 8th. The early bird sale, which gives a discount on the festival pass, starts tomorrow (though tickets for singles shows do not appear to be going on sale until a later date). All ticket information including day tickets, VIP tickets and pricing will be listed tomorrow as of 10AM EST at capitaltickets.ca. For more details visit http://ottawabluesfest.ca/ - Thanks to Jodey Derouin for the headsup! Rush Sighting In Rob Zombie's "The Lords Of Salem"
"If you've come to admire the directorial career of Rob Zombie (don't laugh, horror haters), then you know his wife, Sheri Moon Zombie, who appears in all of his work. She gives a rich performance in Rob's new one, as a Rush-loving DJ turned coven member." - Thanks to Carl Flynn for the headsup! 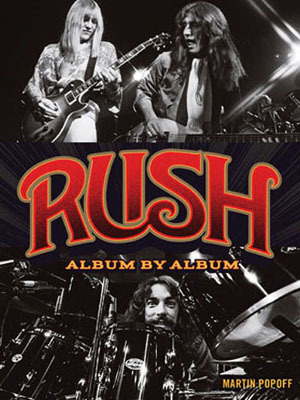 This past November, Rush filmed their Phoenix and Dallas concerts for their next eagerly awaited live DVD and CD release. Although there has been more than one rumored release date passed along online, the band's management has confirmed that NO release date has been determined at this time. Until we see an official press release regarding the DVD, any other rumored dates should be taken with a grain of salt. "This year might be a different story," he said. "I think my fantasy fanaticism may have to take a back seat to my home team. "Jose Reyes is going to be very exciting to see in a Blue Jay uniform. I think he may be the most intriguing player that they acquired in the offseason – not to take anything away from Josh Johnson, Mark Buehrle, Melky Cabrera and even R.A. Dickey. Jose Reyes, because he's coming off what I guess was viewed as a bit of a soft year, and because he's had such dominant years in the past, I think it'll be very interesting to see how he adapts to the American League. "I think [Reyes'] season could dictate the kind of season the Blue Jays have this year," Lee said. "But even if he's average, the team has now acquired so much depth that I think they can withstand a softer year from him than many people expect, particularly because of the depth in the starting rotation. You're talking about a team whose ace last year is now their fifth starter. That is a total rebuild. That is a shocking rebuild, with Dickey, Johnson, Buehrle and Brandon Morrow – who I'm a big believer in." Lee also expects a resurgent season from Toronto's young third baseman, Brett Lawrie. "Lawrie came off a tremendous triple-A season in Las Vegas when they called him up, and that carried over into the Major Leagues," he said. "Last year, I guess some people were disappointed that it didn't continue. But that's typical growing pains. There are very few kids who can just come up from the minors and take off – very few Miggy Cabreras out there. They're few and far between. Most of them have to work at it, and they need a couple of years. Certainly in that lineup now, he's going to have a chance to do some damage." Rush.com just announced that today at 3:30pm Eastern Time, Geddy and Alex will be doing a LIVE Spreecast video chat with The Wall Street Journal and fans. Here is a link to the event: http://www.spreecast.com/events/rush--2. Fans: Sign in to Spreecast via Facebook/Twitter/email to ask questions, or as a guest to view. Fans can watch, comment in the chat box, submit questions or you can even request to come on screen and ask Rush your questions live. Two years in the making, the new eponymous album by the David Barrett Trio, produced by Alex Lifeson, Richard Chycki, and Alan Parsons, will be released tomorrow. Click to here to order. 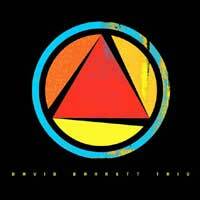 The David Barrett Trio released three Alex Lifeson produced tracks on iTunes back in 2011: "Hollowbody", the trio's first single, was released March 15th; "Sonar" was released on May 24th, and "Disappearance", was released July 19th. Check out this pre-production session developing the ending for Great Eastern Sun, the last track on the album posted by the DBT this past January (click here for part 1; part 2). "In Jan. 2010, Alex listened to my latest acoustic album The Dead Arm and had some constructive criticism, but also offered to produce with the idea that I'd benefit from such an experience. Alex really insisted I use a band because he felt the music would develop more fully that way. I'm truly inspired because I'm working with a great rhythm section as a power trio, and my favorite guitar player is producing. I have Alex to thank not only for the production team, but also for renewing my interest in loud electric guitar, which is what I do best. "I met Alex Lifeson's son Justin back in the early 1990's when I was recording with Mark Holmes at Jeff Healey's studio in Toronto. Justin's a great guy and an old Platinum Blonde fan, so he knew Mark from back in the day and dropped by the studio one evening to say hi. We became friends, and I got to know Alex sometime later. Over the years Alex has helped me out with gear, recording projects, and we've even jammed in his basement a couple times. The engineer on this project is Rich Chycki, and coincidentally, Rich was the house engineer at the Healey studio on all the sessions I did with Amanda Marshall and Mark Holmes. Rich also produced my first solo guitar record in 1995 called, Staring Into The Sun. I recommended Rich to Alex, ten years before he actually became Rush's main recording and mixing engineer!" For more information on the David Barrett Trio, click here. 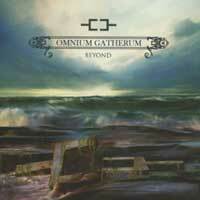 Finnish death metal band Omnium Gatherum's latest album Beyond is coming March 5th. Included as a bonus track is their cover of Rush's "Subdivisions". - Thanks to RushIsABand for the headsup! Rush came in at #28 on Billboard's list of the 40 highest-paid musicians of the past 12 months with a total of $8,719,834.30. 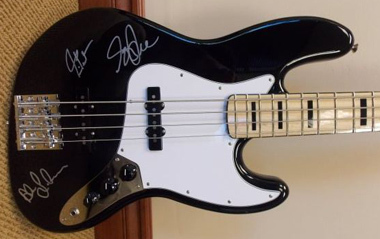 Escrow.com is selling a Fender Geddy Lee Jazz Bass, autographed by all three members of RUSH, with all proceeds going to the Fender Music Foundation. The asking price is $15,000 although you can make your best offer. 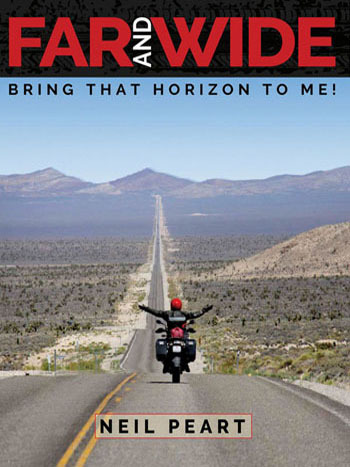 Neil Peart has updated his website with Issue 17 of Bubba's Book Club. As the subtitle of the issue reads, it's "praising 21 titles, mostly novels, and all by living authors." "My list of the past year’s literary favorites now numbers twenty-one titles, nearly all of them novels. In addition, I notice with surprise and delight that every single one is by a living author, all but one published within the last decade. That says a great deal about my feelings toward the state of modern fiction." 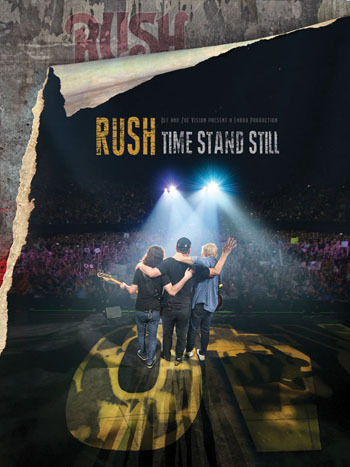 Clockwork Angels Tour - Rush Announces Additional Dates On Sale Today! 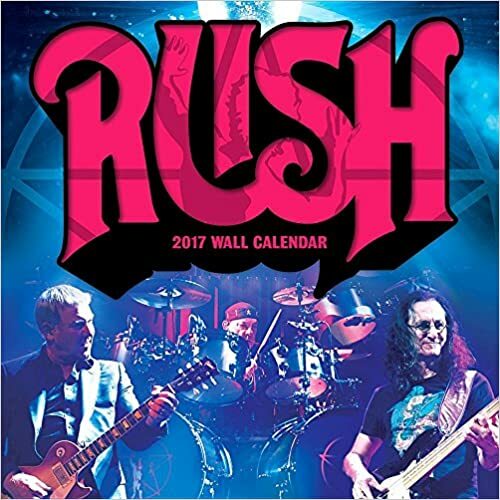 RUSH.COM has announced additional tourdates with presales beginning TODAY, TUESDAY FEB 19th at NOON! RUSH Clockwork Angels Tour will visit an additional 15 cities from June to August across North America, following the previously announced spring dates. The second leg will begin in Hershey on June 21st and complete in Kansas City on August 4th. Entering the charts at #1 in their native Canada and #2 in the U.S., Clockwork Angels has spawned three top 5 hits at Classic Rock radio with “The Wreckers” going to #3, “Caravan” peaking at #2, and “Headlong Flight” topping the chart at #1. Additionally, a fourth single “BU2B” scored top 10 success at the format. 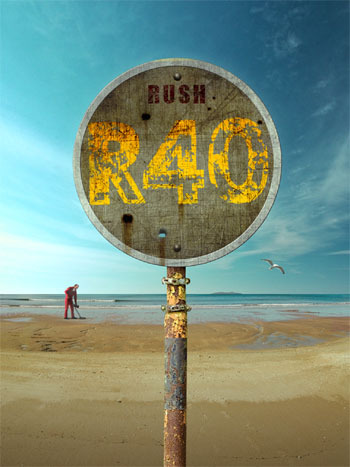 Rush’s latest single “The Anarchist” is being serviced to radio outlets now. 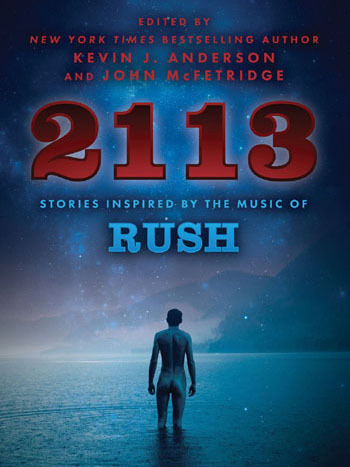 At the end of 2012, Rush won both the Band of the Year and Album of the Year awards at the Classic Rock Awards in London, UK. This year, to the delight of patient Rush fans worldwide, Geddy Lee, Alex Lifeson and Neil Peart will be inducted into the Rock and Roll Hall Of Fame at the momentous ceremony in Los Angeles on April 18th. 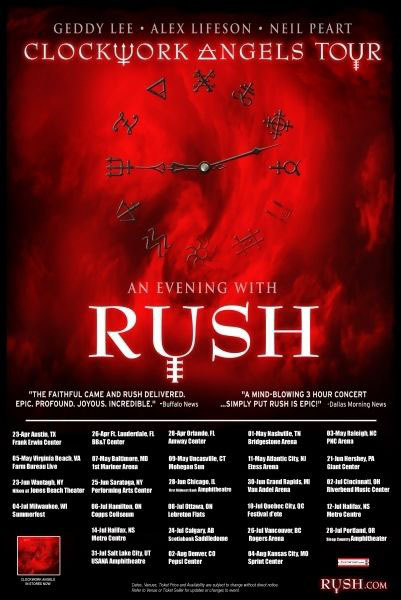 Following the Rock and Roll Hall of Fame Induction ceremony, Rush kick off their Clockwork Angels North American Tour 2013 on April 23rd in Austin, TX and will visit Ft. Lauderdale, Orlando, Nashville, Raleigh, Virginia Beach, Baltimore, Uncasville, and Atlantic City this spring. After returning from their European dates, a second leg will begin in June which will include stops in Hershey, Wantagh, Saratoga, Chicago, Cincinnati, Milwaukee, Calgary, Vancouver, Portland, Salt Lake City, Denver, Kansas City, Hamilton, and will finally return to Grand Rapids and Halifax for the first time in decades. Pre-sales begin at noon on Tuesday, February 19th in select markets for Hershey, Wantagh, Saratoga, Chicago, Grand Rapids, Cincinnati, Hamilton, Halifax, Calgary, Vancouver, Portland, Salt Lake City, Denver, and Kansas City. To purchase your RUSH Tour package, please visit http://www.vipnation.com/programs/rush—clockwork-angels-tour/ The link is password protected for the first 24 hours for Rush members starting at noon local time on Tuesday, Feb 19th. The password is 2013Rush. 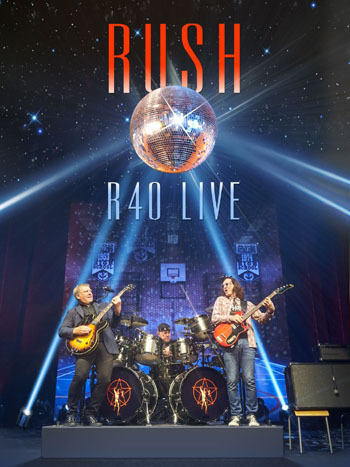 To purchase Presale Tickets and Presale Merchandise please visit http://rush.musictoday.com This fan pre-sale via Music Today begins Tuesday, Feb 19th at noon local time and is open until Thursday, Feb 21st until 5pm local time. Citi® cardmembers will have access to pre-sale tickets for new US dates (with exception of Milwaukee) through Citi’s Private Pass® Program beginning February 20th in select markets. For complete presale details visit www.citiprivatepass.com. AMEX® cardmembers will have access to pre-sale tickets for Hamilton, Calgary and Vancouver shows through American Express Front of the Line program beginning Tuesday, Feb 19th at 10am. For complete presale details visit www.americanexpress.ca/frontoftheline. For those that want to join RUSH at the Rock & Roll Hall of Fame’s 28th Annual Induction Ceremony live at Nokia Theatre in Los Angeles, please visit www.rockhall.com for details. Inductees include RUSH, HEART, PUBLIC ENEMY, DONNA SUMMER, ALBERT KING, RANDY NEWMAN, QUINCY JONES, AND LOU ADLER. With special appearances by John Mayer, Christina Aguilera, Jennifer Hudson, Don Henley, Dave Grohl, Taylor Hawkins, Gary Clark Jr., Usher, and more to be announced. 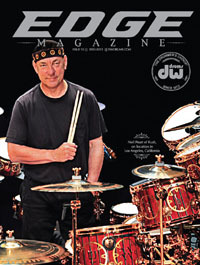 Drummer's Workshop recently published the 2012-2013 issue of Edge magazine featuring Neil Peart on the cover. The magazine is available digitally as a PDF at DWdrums.com, including the story "Gearing Up For The Road" written by Neil Peart. - Thanks to Mark Rosenthal for the headsup! 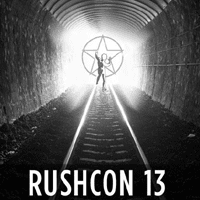 Today the organizers of RushCon, the annual Rush fan convention, announced that RushCon 13 will be held July 5th - 7th in Toronto, Canada. There will be three days of Rush filled activities including a round-trip caravan to the Rush Concert in Hamilton on July 6th. Rush Concert tickets go on sale this TUESDAY! 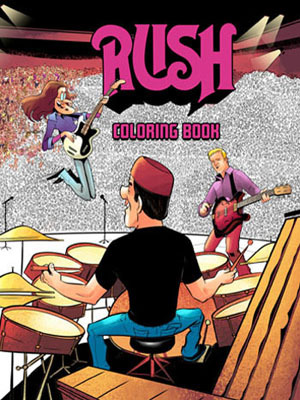 Visit: http://www.rushcon.org/ for details. Password will be 2013Rush You can also visit rush.musictoday.com/Rush/calendar.aspx for the Fan Club pre-sale that begins Tuesday, February 19 at noon local time and ends Thursday, Feb 21 at 5pm local time. For those that are American Express card users, there will also be a Front of the Line pre-sale available for the Hamilton show. Please visit www.americanexpress.ca/fronoftheline for more details. 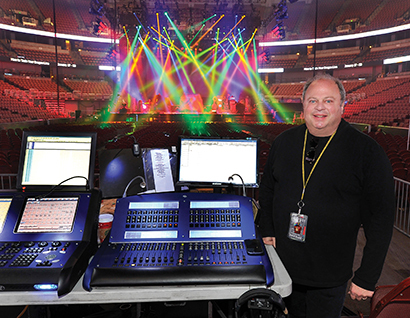 The February issue of Projection, Lights & Staging News has a feature interview with Rush's lighting designer, Howard Ungerleider. Howard explains how the design came about, his initial thoughts on first hearing Clockwork Angels, and the hiring of the various eclectic companies that put it all together. 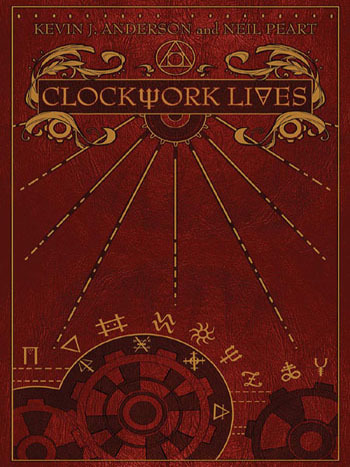 "...with the album called Clockwork Angels and the theme of some of the songs, I knew where it was going. I wanted to design a system with angel sort of wings; there’s actually 22 moving parts to it because there’s a dozen other little mini-trusses that come down on high string motors...The band members are true professionals, and what’s also great is they all have a great sense of humor. Just look at the humorous videos they create and show just before they hit the stage. They are made up as characters with pot bellies, funny wigs and all. Even when we’re not on tour and we go over to Alex’s (Lifeson) house for a party, he comes out as a character, so yeah, great bunch of guys, very level-headed. The freedom that they give me with my lighting is very important and allows me to give them my best. I’ve done other acts where you’re micro-managed to the point where you can’t really be creative, which is not a good thing. When I use video, it’s to bring you closer to the artist while not taking away from seeing the band on stage at the same time. It gives you a little bit of insight with the robotic cameras that we’re using now — you can get right in on top of Neil Peart playing the drums, for instance. I’m using the perspective of the fan from the audience — I want to see different angles, viewpoints. I want to do lighting choreography, not only to the music, but also to the lyrics that trigger those cues. Half the show is run manually, which is a great experience!" For the full interview visit PLSN.com. - Thanks to Greg Nosek for the headsup! UPDATE #3: Rush.com just shared: "Rock & Roll Hall of Fame packages include Premium Ticket, Exclusive Merchandise, and more - Click here for more info". UPDATE #2: Pursuant to the below announcement, the presale starts today at 10am PST! 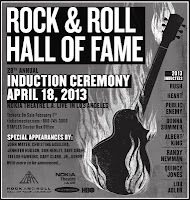 The Rock And Roll Hall of Fame announced ticketing details for the 28TH Annual Induction Ceremony held APRIL 18, 2013 in Los Angeles at the Nokia Theatre. We want to celebrate and share this moment with as MANY Rush fans in the room that night as possible! There will be a special Rush fan pre-sale that starts Monday, January 28 at 10 a.m. PST through Thursday, January 31 at 10 p.m. PST at Ticketmaster. The password for this pre-sale is rushfan. There will be preferred seating held in every price and seating area. Please also be aware that tomorrow, January 24, a Presale for American Express Cardmembers begins. Advance tickets for American Express Cardmembers will be available from Thursday, January 24 at 10 a.m. PST through Sunday, January 27 at 10 p.m. PST. Tickets can be purchased via Ticketmaster. The public on-sale will begin on Friday, February 1 at 10 a.m. PST. To purchase tickets, visit Ticketmaster or charge-by-phone at 1-800-745-3000. There will be a four-ticket limit on all orders. Additionally, three levels of VIP packages will be available through Ticketmaster. And a big shout out to Dave Grohl and Taylor Hawkins from the Foo Fighters for doing the honors for us that evening! 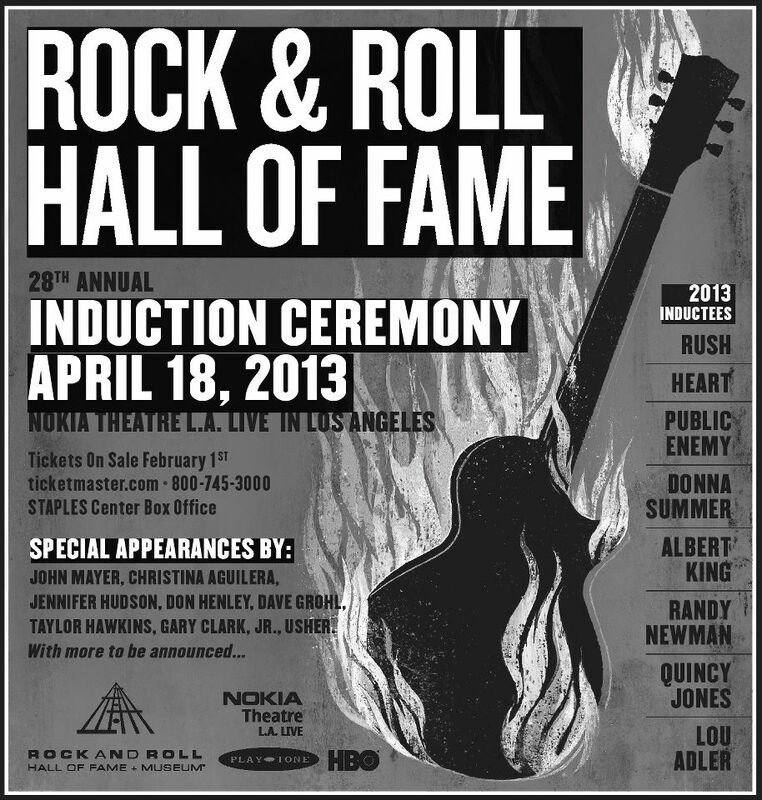 Tickets to the 2013 Rock and Roll Hall of Fame Induction Ceremony go on sale to the public on Friday, February 1st. Rock and Roll Hall of Fame and Museum Members will have the opportunity to purchase advance sale tickets to the Rock and Roll Hall of Fame 2013 Inductions starting Monday, January 28. Memberships must have been active as of January 1st, 2013. Some restrictions apply. Stay tuned for more details! The induction ceremony will broadcast on HBO on Saturday, May 18 at 9pm ET/PT. - Thanks to Ed at RushIsABand for the headsup! Q: Rush are getting inducted into the Rock and Roll Hall of Fame. Are you at all miffed they got it before you? A: [Laughs] No, I can't object to that. Logistically, it's probably difficult for whoever the committee is to bring in Yes. Rush is fairly simple. It's the same three guys and always has been. They deserve to be there, no doubt about that. But there still seems to be a certain bias towards early-Seventies prog rock bands like Yes and King Crimson. 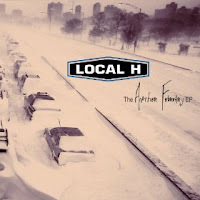 Local H's "The Another February EP" Featuring "2112 Overture/Temples Of Syrinx"
Today Chicago based alternative band Local H released The Another February EP containing a radio edit of "Another February" from last year's studio album Hallelujah! I'm a Bum. 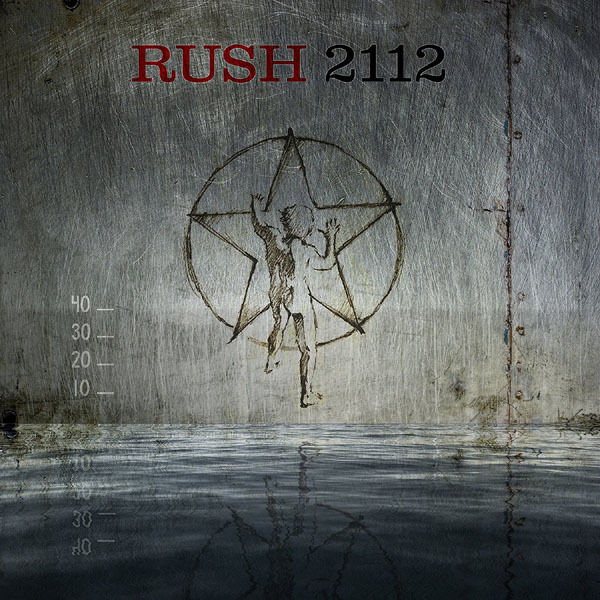 The other four tracks on the EP are all covers, including their take on "2112 Overture/The Temples Of Syrinx". -Thanks to Ed at RushIsABand for the headsup! Geddy Lee Guest Star On "How I Met Your Mother"
Geddy Lee made a guest appearance on Monday's (February 4th) episode of CBS's How I Met Your Mother. The episode is now streaming on CBS's website. Power Windows Website Turns 15! Today marks the 15th Anniversary of the launch of the Power Windows website at 2112.net. Time flies! Thanks to everyone who contributed to this site over the years, thanks also to the readers and to those that have make Paypal donations to keep it going, and a very special thanks to Blake Willis of 2112.net!